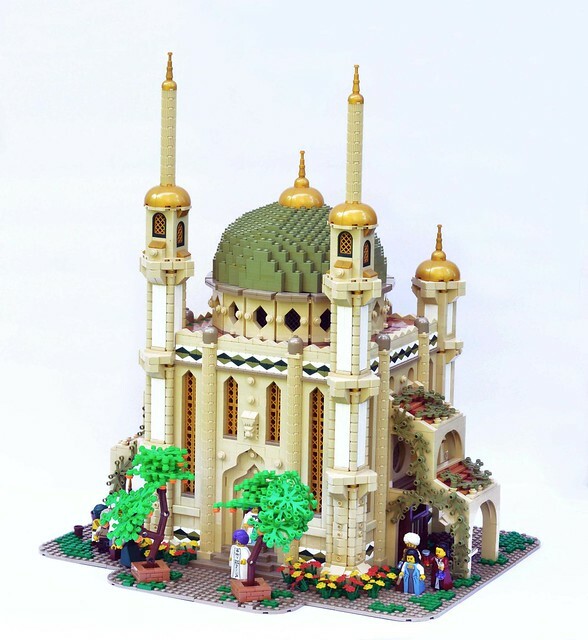 Patrick Massey revealed his latest LEGO creation, a truly beautiful mosque from the middle-east. The colors he combined with tan give this building a unique look, especially that olive green brick-built dome that, quite literally, perfectly tops off this MOC. The windows on the sides are also executed well, probably my favorite details of this structure. Make sure to take a closer look!